NSS has increased its Townsville fleet of reachstackers to three with the $500,000-plus purchase of a new Kalmar DRG450. Maintenance manager Jarrod Sawyer said the equipment arrived this month, increasing the site’s fleet flexibility and efficiency for loading and unloading containers. The new reachstacker can lift up to 45 tonnes and can stack containers five units high. It also has lifting hooks for handling products such as pipes and lengths of steel with slings. 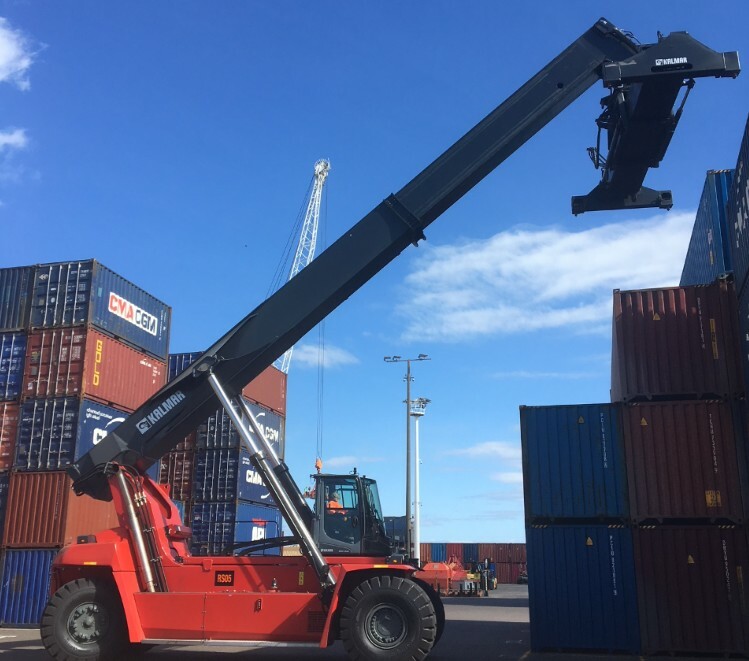 NSS has two reachstackers at the Port of Gladstone as well as the three in Townsville, complementing its fleet of forklifts and container handlers. “The container handlers can stack five high standard containers but cannot lift half-height containers from the ground because the spreader can’t go down low enough, whereas forklifts can pick up a half–height containers off the ground but can usually only go three high with a standard container,” Mr Sawyer said. “A reachstacker can actually pick up a half-height container off the ground and still stack standard containers five high if required. He said the Kalmar DRG450 boasted a K-Motion transmission with its hydrostatic technology that allowed for up to 40 per cent better fuel economy than the previous models.